Cassandra Mamone: Old to New anyone? Do you own an “unusual” piece of jewellery that you do not wear? Have you considered transforming that family heirloom, or fine jewellery piece that no longer suits your style, into an exciting new piece of fine jewellery? Remodelling is a great option for transforming an old piece into something new that you will love for years to come. As a jewellery designer it excites me when clients decide to revamp an old piece of jewellery, sometimes they come to me with an assortment of old or broken jewellery to create something completely new and fresh. Adelaide jewellery designer Cassandra Mamone specialises in custom design and can work with you to design something that you will adore from the pieces that you no longer wear. Cassandra Mamone has helped lovely clients to redesign and recreate their old jewellery. For example, one client had a sapphire and diamond 18ct white gold cluster set within a yellow gold pendant which she never wore. 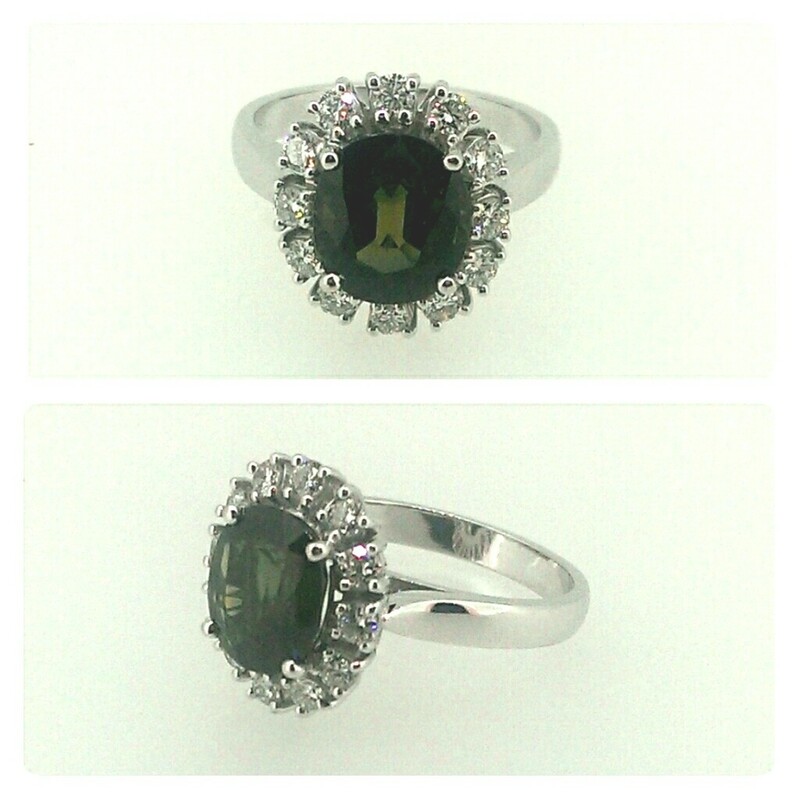 We transformed this piece into a stunning 18ct white gold cocktail ring. 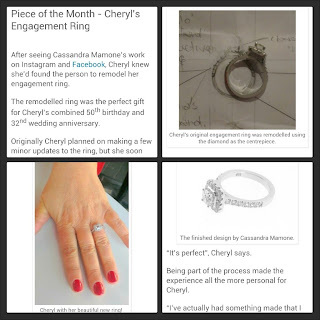 Do you remember Cheryl's engagement ring? We removed the centre diamond from her old yellow gold ring and designed a beautiful new 18ct white gold sparkling engagement ring to set it in.